Paco Díaz (Palma de Mallorca, Spain) on 11 April 2011 in Miscellaneous. What a lovely way to turn a corner ! 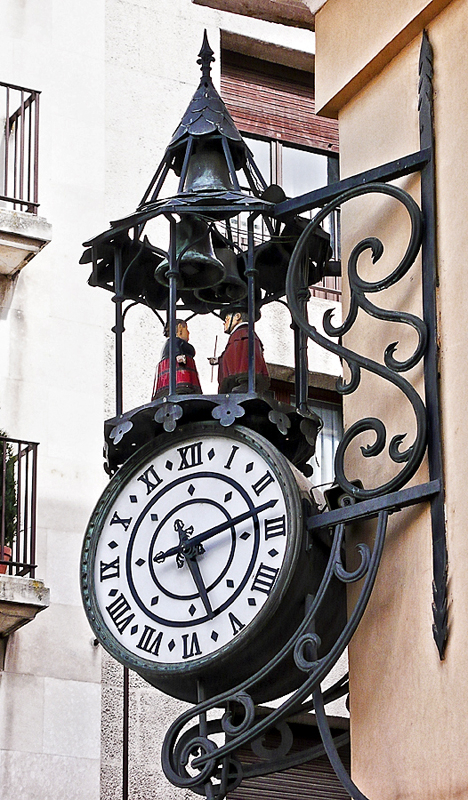 I imagine the figures rotate and sound a bell on the hours ? so you see, you must never forget to look up! Such a beautiful old clock! A lovely photo, too. A great find! I love it! Curioso reloj y nunca mejor dicho, de la esquina.